As DevOps takes hold in most organizations, IT admins and DevOps engineers are searching for ways to streamline the management of their infrastructure. One critical area of focus is identity management. Consolidating management to one identity that can be leveraged across the DevOps infrastructure is critical from not only an efficiency perspective, but also for security. One of the key areas of focus is to enable users to sync their AWS and GitHub user accounts. DevOps infrastructure is increasingly leveraging tools such as AWS, GitHub, Atlassian solutions, Jenkins, Docker, Kubernetes, and many more. Unfortunately, a technical person generally has two identities within their organization. One identity may be their “corporate” identity controlled by a legacy directory service such as Microsoft Active Directory. Their other identity is their “technical” one that may be used for AWS and GitHub for example and may even include SSH keys and other forms of identity. But, even with a technical identity, it is often disparate identities – one for AWS, another for GitHub, and yet another for Atlassian applications. That often requires multiple logins and different user accounts. That ends up creating a significant management problem and overhead for technical personnel. DevOps is about efficiency and scale. Unfortunately, providing technical personnel with access to a wide variety of resources becomes very un-DevOps like for most organizations. The good news is that there is a modern approach to cloud identity management that can enable frictionless access to a wide variety of resources. For example, you can sync AWS and GitHub user accounts to leverage the same identity. Further, that identity can be the same identity for the ‘corporate’ side and the ‘technical’ side. 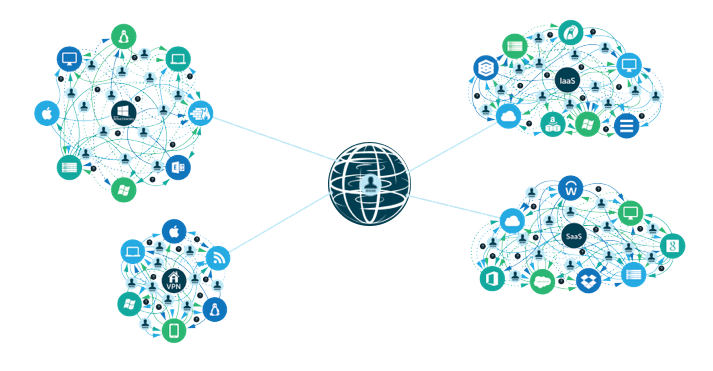 This is possible through a new generation IDaaS platform called Directory-as-a-Service®. 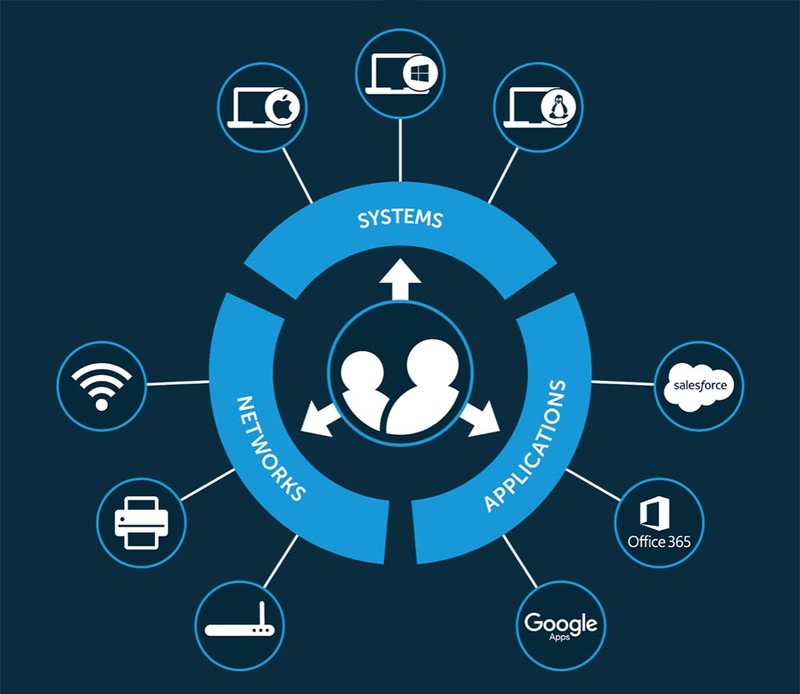 As a cloud hosted directory service, this modern user management platform connects user identities to systems (Windows, Mac, Linux), cloud and on-prem servers (e.g. AWS, Azure, GCP, and more), web and on-prem applications (e.g. Docker, Jenkins, GitHub, Atlassian, and more), physical and virtual storage infrastructure, and wired and WiFi networks via RADIUS. One identity can be leveraged across an organization’s DevOps tools and infrastructure. For a more in depth read on how to centralize your DevOps identities, consider reading this guide on DevOps Identity Management. 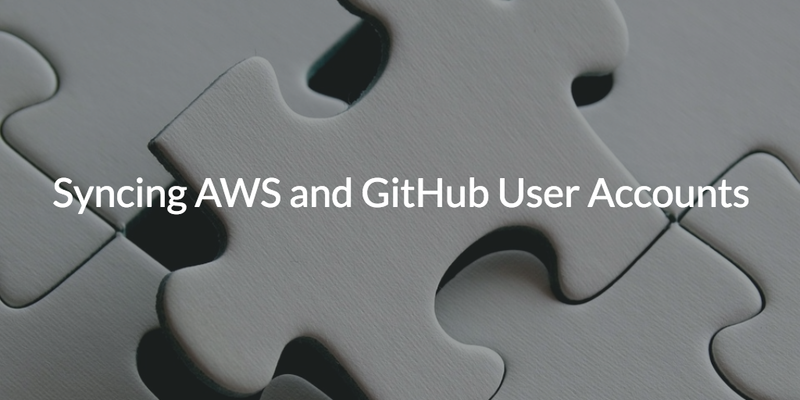 If you would like to learn more about syncing AWS and GitHub user accounts in your DevOps environment, we hope to hear from you. You can also read this first hand account of a DevOps organization that streamlined their onboarding processes and virtual server management by using JumpCloud. We also encourage you to start testing our cloud based directory by signing up for a free IDaaS account. Your first ten users are free forever.